It is no wonder that cleanliness in commercial offices has become a major issue, and approximately 98% of the employees have complained that they have been infected by the surroundings of their offices. The occurrence of contagious diseases has grown significantly, and it pertains to the accumulation of dust and particles in an office environment. Today we are living in a world, where the differences between the geographic and cultural aspect in an office have ceased to exist, and the number of employment is increasing deliberately in offices. It has alerted the number of office illnesses, which attributes to the loss of productivity of employees. No one wants to be unproductive or lazy within the premises of an office, so the owner of the office should reach out to a facility management business for hiring commercial services to clean the office. However, you should be familiar with the important facts of office cleaning, and what happens if a workplace is not cleaned for a prolonged time period. We have shortlisted a list of important facts that you need to learn regarding keeping an office cleaned and maintained. In a typical office environment, the hands of the employees are more likely to contract approximately 10 million bacteria per day. The bacteria are accumulated from touching unclean tables and surfaces, and they are contagious in nature, which makes them subjected to grow indefinitely. When hiring janitorial services, you should ask the cleaner to disinfectant the surfaces and tables to discontinue the growth of bacteria. The telephones in offices are more likely to contain 25,000 germs per square inch, which requires you to sanitize your hands quite often. If you are more likely to have your desk and cubicle disinfected on a regular basis, you are reducing your chances of experiencing any sickness in the office by 30%. Did you know that the quality of air in a closed space can accelerate and worsen up to 500%, which could be immensely detrimental to your health? Therefore, you should consider the installation of a dehumidifier in your office. Dust particles found on your office table, chairs, accessories, and supplies constitute to form 70% of the dead skin flakes. It is no wonder that the majority of the offices are more likely to be contaminated with 400 times more bacteria in comparison to a toilet seat. If you are wary of the number of germs and bacteria found in an office and need help to provide a safe and clean environment for your employees and visitors, reach out our cleaning specialist team to help you with cleaning and disinfecting your office. We cater to jobs of all sizes, providing a high standard of care to produce first-class results at all times. 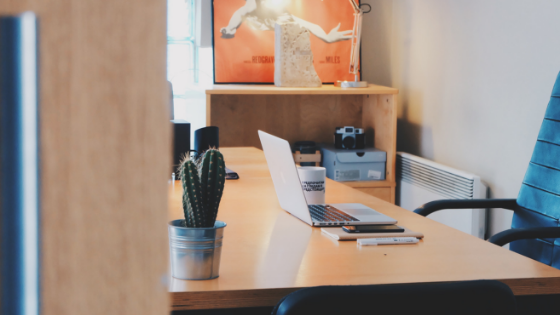 A clean and sanitized office signifies a level of professionalism and tells potential customers that you care about your brand and your employees. A happy employee is a productive employee, and as such, leaves a far better impression than a worker who has to deal with a messy office and an unhealthy work environment. This is particularly important, as more and more brands are using their workers as a way to promote their products and services. By keeping the work environment clean, you’re ensuring that your employees are healthy and productive and ready to serve the needs of any client that walks through your doors. To find out more about cleaning services we offer and to discuss your requirements, simply contact our friendly team today and we’ll be happy to assist you.